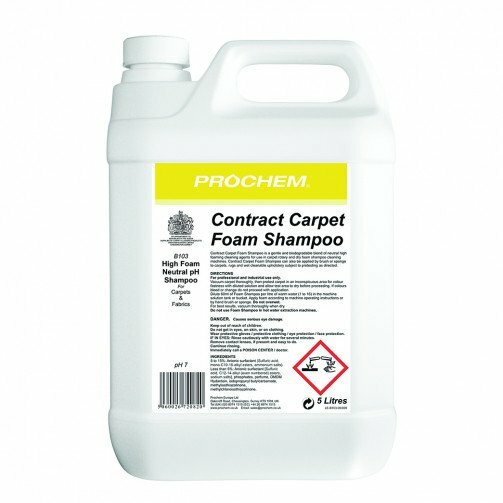 An effective and economical blend of high foaming cleaning agents for use in carpet rotary and dry foam shampoo cleaning machines. New enhanced formula with improved concentration. Clear liquid with lavender fragrance.